If you’ve found yourself feeling the pinch every month and struggling to make your income stretch until next payday, then you might be considering finding something to do so that you can make some extra cash on the side. The good news is that today, making some side hustle cash doesn’t have to be complicated at all. There are several different ways to make some extra cash both online and offline, and while it may take some work to get started, there are many clear paths forward that you can take. And, it doesn’t always take a lot of work to make a bit of extra money on the side, especially if you’re only looking for a few hundred dollars a month to keep you going. 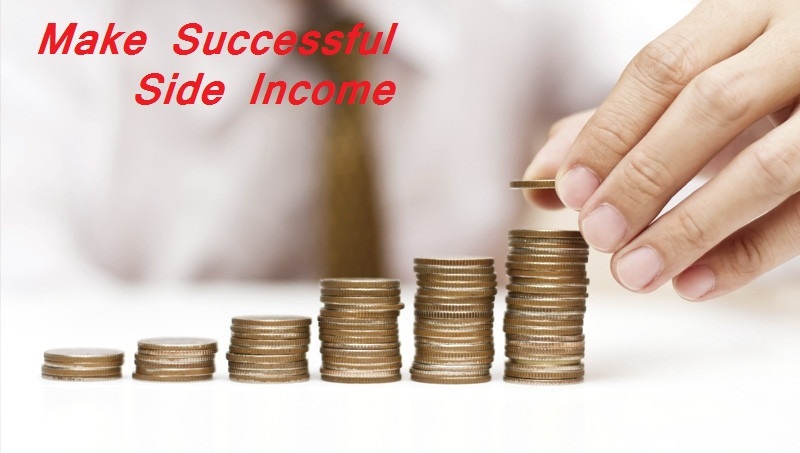 Here are some ideas to consider if you want to make an income on the side. Virtual assistants work remotely and help others with almost any task possible, including sending emails, invoicing, social media management and much more. If you’re organized and able to effectively manage your time, working as a virtual assistant in your spare time can earn you a decent amount of money. And, you can easily perform most functions required of a virtual assistant from your laptop or smartphone, as long as you have a working internet connection. It’s easy to find work as a virtual assistant online, with several jobs posted regularly on sites such as Upwork. Or, get in touch with business owners and pitch your services. The items in your home could be a treasure trove just waiting to be discovered. If you have old clothes that you’ve not worn for a while, gadgets that you’ve upgraded, or even household items that aren’t getting as much use as they used to, you may be surprised as to just how much money you could make from selling them. Find local garage sales in your area, or sell online using sites such as eBay, Craigslist and Facebook Marketplace. Do you have a skill that you could share with others? If so, you might want to consider offering your services as an online tutor. Today, both students and parents are realizing the benefits of investing in private tuition, and online tutoring is often a cheaper option since there are no costs to cover for a tutor visiting the home. You could easily provide tutoring for basic math, English or science, or if you are multilingual, consider offering your services as a language coach. Or if you’re musical, why not teach others to play an instrument? Fiverr is a hugely popular online gig site, where you can sell anything from article writing to logo and web design services. Today, Fiverr is a vast marketplace where you can sell almost any service under the sun. Design and content creation services are hugely popular, so if you’re good at web design, video editing, article writing, or logo design, it’s a great place to try and find work. Or, you could help people with their resume, record voiceovers, write letters and much more. If you have a spare room in your home, then that could be a regular income that you’re missing out on. There are several methods to make money from a spare room in your property, whether it involves finding a lodger who lives with you, or joining a site such as AirBnb to rent your room out to people for short stays. If you live in an area that is popular with tourists, then your spare room could be in very high demand. If you’re highly passionate about a certain subject and able to write compelling content, then you might want to consider starting a blog to boost your income. Today you can start a blog on just about anything, and don’t worry too much if it’s a popular niche – the main thing is to be passionate about the subject that you choose. And, blogs are possibly one of the best ways to earn a passive income. If your blog gathers a large following, business owners might pay you for advertising space or you can make an income from pay per click (PPC) ads, affiliate marketing schemes, or selling merchandise and digital downloads. Whether it’s a fantasy novel, a self-help title or a cookbook of all your favorite recipes, there’s never been a better time to fulfil your dreams of becoming a published author. And, with sites like Amazon allowing you to self-publish your book and start selling online straight away, it’s never been easier to write a book for a passive income either. Gambling isn’t usually recommended when it comes to making money on the side, but with the right strategies, sports betting can actually help you seriously boost your income. The NFL, Formula One, The NBA, Premier League, Horse Racing, Boxing and Golf are some of the best sports to bet on, with plenty to be won if the odds are in your favor. But to be successful, you’ll need to be committed to researching and investing in the sport. You can learn more here about getting started with successful sports betting. If you don’t want to work online, there are several things that you can do in your local area to make some extra money on the side. If you love animals, you could offer your services as a dog walker or pet sitter, or if you have the relevant background checks, babysit local kids in the evenings and at weekends. Or, if you’re quite handy around the home, local handyman services are always welcomed. Or help your neighbors keep their homes clean and gardens tidy for a small fee. When it comes to making money on the side, there are so many different options to choose from. Which side hustle would work well for you? We’d love to hear from you in the comments.